The Arabella Corner features a classic rounded rectangular shape, with sides that rise from the base and fan gracefully outwards. 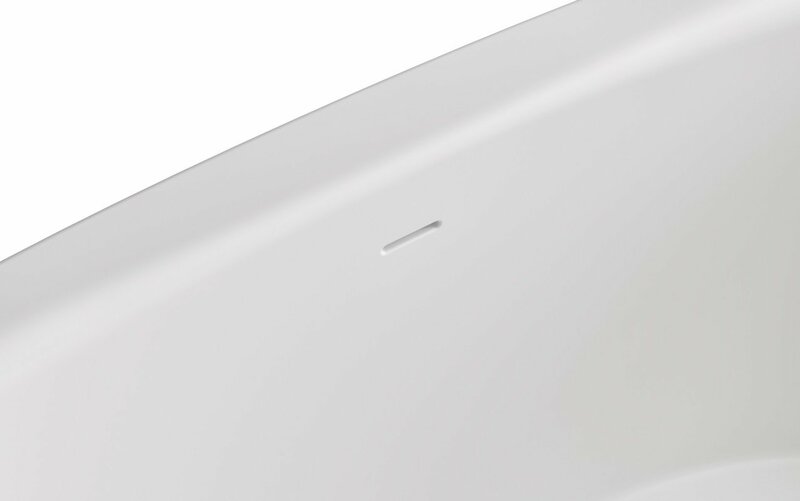 This corner version of the original Arabella has an added flat corner lip for easy installation into the corners of your bathroom. Its one-piece, solid AquateX™ material provides a warm and velvety surface, as well as sufficient heat-retaining and durability qualities. 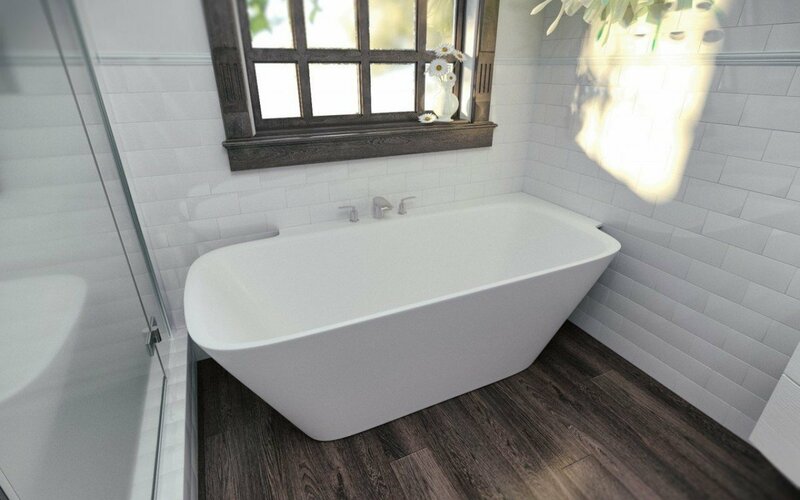 The extra deep design of the Arabella is ideal for full-body soaks, and is conveniently available in a freestanding, back-to-wall and right-hand version, making it a versatile tub for any bathroom. 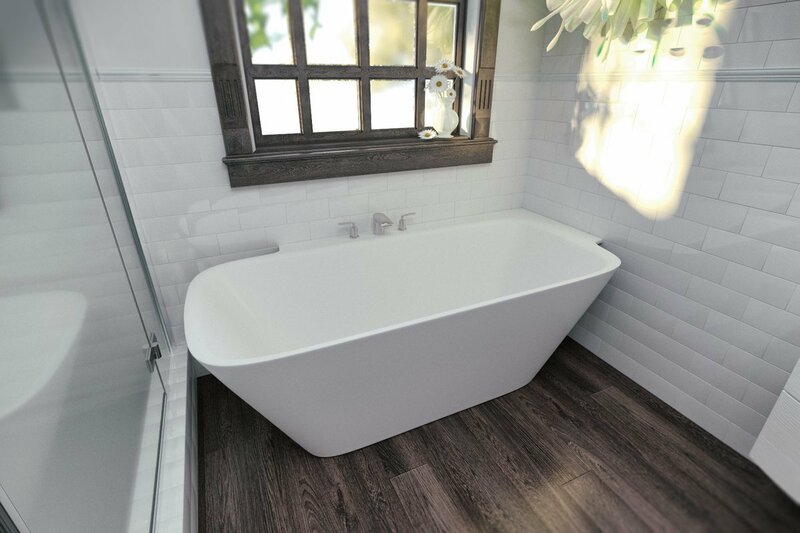 The pleasures of this large style, two-person bath are made even more attractive with this special corner installation model. All the impact of a freestanding bath, next to a wall if space is tighter. With additional ledge space for bathing essentials. 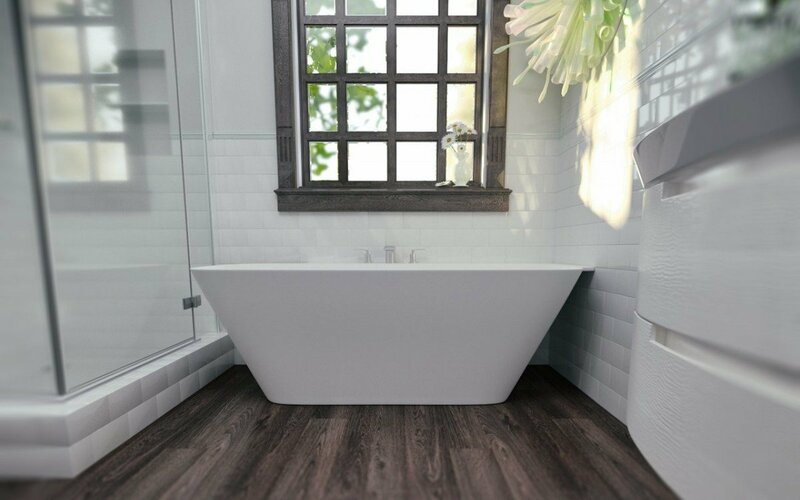 As with all Aquatica baths, our designers’ application of ergonomics delivers a superbly comfortable and supportive bathing experience, that brings together the pleasure of a full body soak in an optimal bathing position with full back, neck and head support.